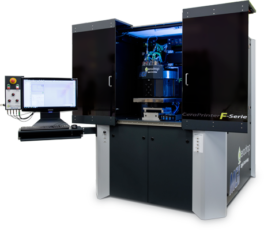 « Having confirmed our expertise in a combination of the latest technologies and experience in Materials Science, we are proud to supply UTSA’s Multifunctional Electronic Materials and Devices Research Lab (MeMDRL) with the cutting-edge Hybrid CeraPrinter F-Serie Platform! Such an impressive laboratory working with state-of-the-art printing electronics applications and equipment highlights our partnership in functional materials and devices development. We are delighted to provide the Advanced Platform offering Inkjet and Aerosol Jet® deposition technologies with multi-curing options, characterization facilities, as well as strong CERADROP Process Team support in materials study and functional devices manufacturing. » – stated Tim H. Luong, National Sales Manager at CERADROP. « CERADROP 3D digital deposition system is attractive to our research because we could use this tool to explore materials science and engineering at both material and device levels. We choose CeraPrinter F-Serie for its unique strength signified by a combination of multi-nozzle Inkjet printheads with an Aerosol Jet®, which enable us to manipulate a wide array of materials in complex material systems. The modular post-processing capability of the system is attractive to us as well allowing flexibility and subsequent upgrades. We also value the powerful software suite developed by CERADROP that controls components and technologies from different manufacturers seamlessly. 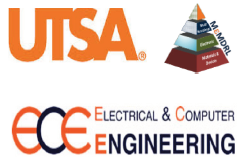 UTSA faculty researchers will conduct a range of projects utilizing both the native and the customized capabilities of the hybrid 3D platform, including development of nanoparticle materials for 3D depositions and fabrication of 3D electronics of micrometer precisions in electrical, mechanical, and biomedical applications. We are particularly interested in design, verification and prototyping of electronics integrated with advanced sensors, actuators and multicomponent-multiferroic composite electronics leading to novel functionalities. The new equipment will strengthen the materials fabrication and modeling capabilities at faculty’s labs, provide undergraduate and graduate students with state-of-the-art training and research opportunities, and facilitate collaborations with local industries by providing prototyping/development support. CERADROP was open in adopting my request to integrate a new optical reflectometer in the F-Serie. We also have a very positive experience to date with CERADROP in all aspects of communication, installation, and training. I am thus quite confident that the relationship with CERADROP will not end when the sale is concluded, knowing the company has knowledgeable representatives, top quality engineers, and skilled software and hardware development teams. » – noted Professor Dr. Ruyan Guo at UTSA’s MeMDRL.